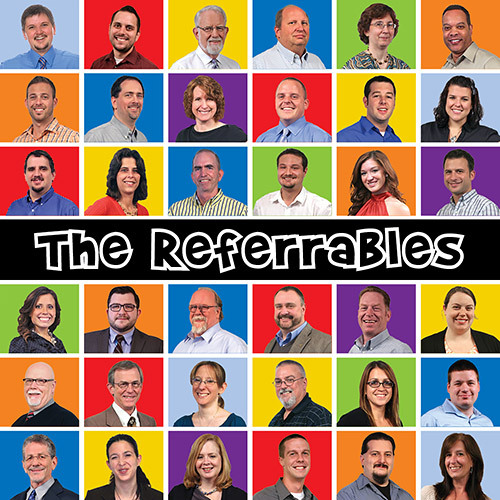 In our opinion, your enthusiastic referrals are the greatest form of flattery. We love it when you're pleased enough with our services to recommend us to other business owners you might have a relationship with! If you know a business owner who you think we might be able to help, please urge them to give us a call. We're dedicated to offering them the quality service you've come to expect from EZSolution! As a way of saying "thank you," we'll give you $100 for anyone you refer to us whose call results in a scheduled appointment. When your referral becomes a client and spends at least $1,000 for our services, we'll even give your referral a $100 "Friend Discount." So, You Might Be Wondering - Who Makes a Great Referral for EZSolution? There are a number of business owners who would potentially love the services EZSolution can offer to help grow their businesses and increase their bottom line. Here are a few of the ways we can help. Marketing - Any business owner who wants to grow their business can profit from our expertise! Web Design - EZSolution can provide for the business owner looking for a web designer who can offer professional design, quick turnaround times, and who will return phone calls reliably and courteously. SEO - Our SEO services are perfect for the business owner trying to drive leads to their website. We'll call to schedule an appointment. We'll send you a check for $100. If your friend becomes a client, we'll give your friend a $100 discount off our services. Facebook - Business owners selling directly to the customer are the perfect fit for our Facebook campaigns. Computer Support - If a business runs 10 - 100 PCs and needs help with its network, data backup, and security, they'll have the peace of mind knowing we've got their back 24 hours a day, 7 days a week. Perhaps you know a business owner who just needs a good, no-obligation second option about their technology game plan. Either way, EZSolution can help! Call us at (717) 291-4689, or fill out the form below to help your friend.